You’re considering the Stamina® ATS Air Rower because it’s time to achieve the body you want. After all, fitness trainers widely recommend indoor rowing as the low-impact, full-body cardiovascular fitness exercise of choice. But like countless people, your time is limited. Whether your job involves the demanding schedule of the professional world or the exhaustive schedule that comes with running the household, there’s not much room to hit the gym. Not a problem; an indoor rowing machine is your solution. More specifically, the ATS Air Rower. 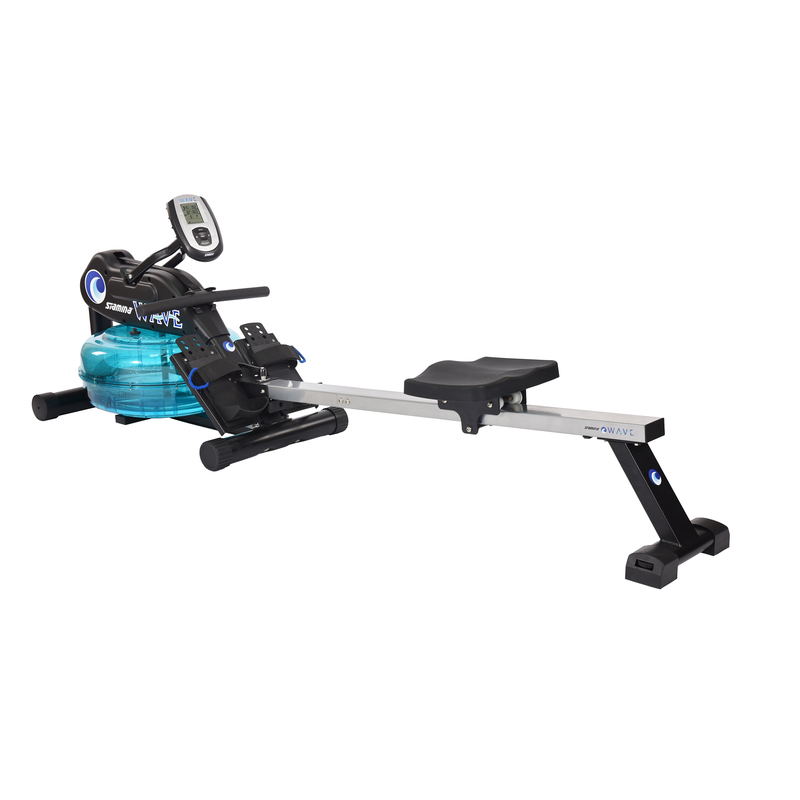 How do we know the Stamina ATS Air Rower is right for you? It’s designed for comfort and convenience, built to last and priced to please. One of Stamina’s most popular fitness products, this air rowing machine features a molded seat designed to accommodate any user and ensure ultimate comfort-especially important when challenging yourself with a longer rowing workout. The over-sized seat rail and metal rowing chain provide extra strength and durability for regular usage. When you’re not sculpting a healthy body, simply fold up your ATS rower and wheel it out of the way. The sturdy, foldable Stamina ATS Air Rower is perfect for your space-be it a large house, small apartment, or even a cramped office. With built-in casters for mobility, the ATS rowing machine is there when you’re ready to work all major muscle groups in both your upper and lower body and easily moved when you’re finished. Thus, you can keep your goals in mind when your body is begging to give up, the multi-function monitor displays your progress in key measurements-distance, calories burned, speed, time, number of strokes and strokes per minute. The ATS Air Rower supports all body types and frequent use. So you can feel secure and safe while rowing your way to a stronger, tighter, healthier body for years to come. For in-home use. Rowing is a low-impact workout that builds cardiovascular fitness and strengthens all major muscle groups.